With the snow falling already, it is important to get your INFINITI vehicle winter ready! Your vehicle repair and maintenance is available from our expert technicians here at Red Noland INFINITI in southern Colorado! When you first arrive in our service department, we promise that you will be greeted by friendly faces and a knowledgeable staff who knows your INFINITI vehicle inside and out. We also offer valet pickup and drop-off for added convenience. Plus, we can even bring a luxury loaner to your home or office! We also have a Tire Center with an impressive selection of major brand tires for your INFINITI. Our Tire Center offers Tire Price Assurance so you can feel secure that you are getting a great price on your tires. Schedule your service appointment easily with our convenient online form or by calling our Service Department. 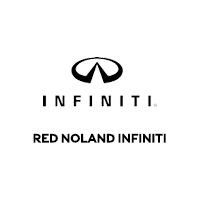 If it’s time to get your INFINITI vehicle ready for the cold weather, make Red Noland INFINITI in Colorado Springs your choice today!